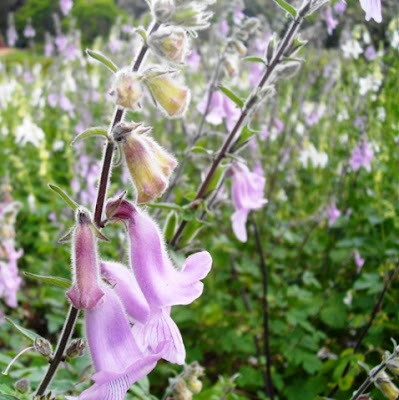 I am on record more than once in this blog about my love/obsession for foxglove, a signature plant here at p o t a g e r.
But I am also on record attesting to its finicky nature, propensity for spider mite, and frustratingly short life span here in Oklahoma. 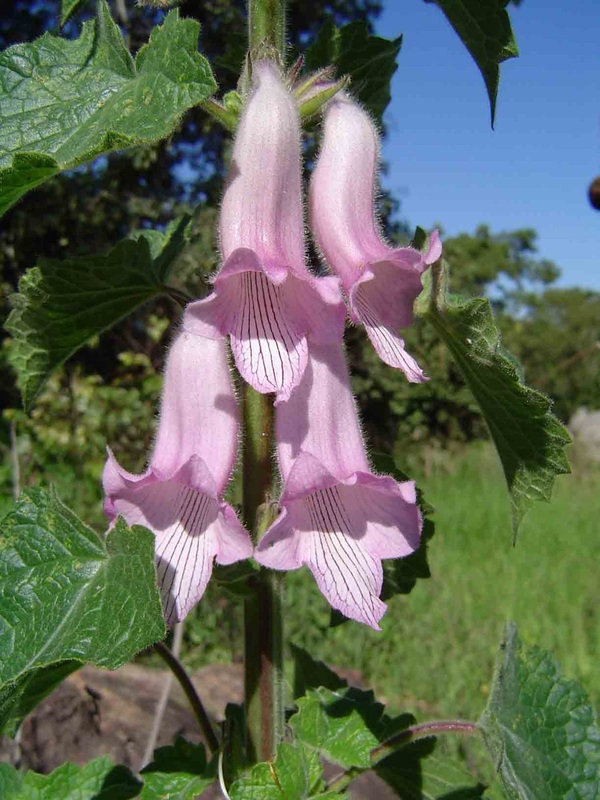 So while perusing my Bustani catalog (here), I was, of course, intrigued by the plant Ceratotheca triloba, or SOUTH AFRICAN FOXGLOVE (here). It may be less refined in appearance than digitalis....and taller....but makes up for it with heat tolerance (hello...it IS from South Africa) and spring to fall bloom. And actually, in looking at it closely, it might even make a more congenial cut flower companion in the vase. I see it looking delicious with green 'Envy' zinnias and purple gomphrena in a late summer jelly jar bouquet. With a little luck, it might reseed and make an encore appearance next year. Add it to my list, please.